Ligneus is a family-run wood manufacturing business born out of the idea that beautiful timeless products can be unique, tailored and not cost the Earth. Situated in the heart of the rural Cotswolds we gain a great deal of inspiration from the rustic natural beauty around us. This is what we're all about. Our range of wood products is continually expanding through carefully developed lines and designs. We also create bespoke, branded and engraved products to individual customers' specific requirements. Please see our Bespoke Branded Products section for more information. Ligneus' warehouse and workshop contains state of the art machinery enabling us to produce the best quality products and branding for our clients. At Ligneus the staff are experienced craftsmen so our clients always get satisfaction for their ideas. As a manufacturing enterprise we recognise our actions have far reaching consequences. We relish making a positive difference and work hard in lessening our environmental impact. All our wood is from sustainable sources. In today's world we must all take a care for our wider environment as well as that immediately around us. Everything we do has an environmental consideration, from where we source our wood to how we heat our warehouse. 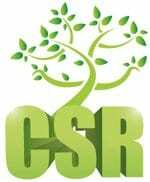 We take our corporate and social responsibilities very seriously so you can be confident of the ethical nature of our products. As a sustainable UK manufacturing company based in the Cotswolds we believe we have a responsibility to our local communities. 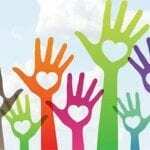 We aim to support charities and communities where we can. We can support with financial contributions through donations on sale and helping to raise awareness. We help raise awareness through our professional services such as product branding and our media channels. This mix offers a variety of ways in which we can contribute. View the communities we support here. 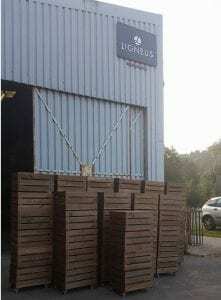 Ligneus has its roots embedded in the historical Brimscombe Port, which, in its heyday, was home to the largest exportation of cloth in the south-west. It flourished throughout the industrial revolution, eventually resulting in the building of Brimscombe Railway Station. The Port was a popular junction for transporting goods far and wide, often to trade overseas, and its growing popularity created an opportunity for boat craftsmen and engineers to set up shop locally. The boats made at the Port became known for their robust and reliable build, which readied them for the rough Atlantic sea. One boat in particular commanded a Hollywood status, appearing in the 1951 John Huston film 'The African Queen'. Ligneus sits on this goldmine of bustling history in what was formerly the Boat Shed and we are very proud to be a part of the Port’s developing future. 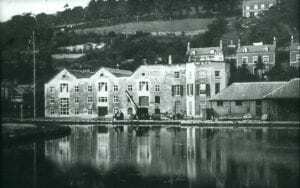 Currently there are plans to restore both Brimscombe Port and the local canal network back to their near former glory, creating an exciting time for trades in the area.